In an interview with BUSRide, Dorsey Houtz, president and CEO at Avail Technologies, answers questions about data integration and actionable business intelligence. 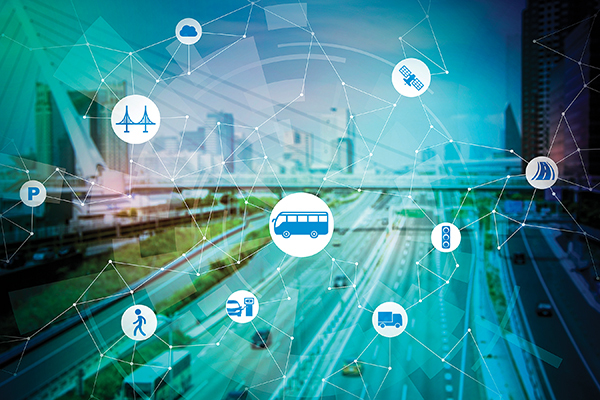 Avail Technologies is an intelligent transportation systems (ITS) total solutions provider for transit operators in the United States, specializing in fully integrated CAD/AVL and Business Intelligence solutions for fixed route and paratransit. Are there distinct types of data integration? There is data integration from a reporting and analysis perspective, and there’s data integration from a data-sharing perspective. Ultimately, the concept of data integration is about being able to easily and accurately leverage data between disparate systems and disparate data sources. How does data integration assist agencies from a reporting and analysis perspective? Data integration accomplishes three things: It provides a higher level of accuracy, reduces the amount of effort required to report and analyze across data sources, and it gives agencies a better capability for doing “cause and effect” analysis of operations within their transit facilities. There could be various people within a transit agency who require data elements from distinct parts of the operation. For example: information about who ran a specific piece of work, fuel consumed, or the number of passengers carried. Each one of these pieces of information come from a different functional group within the operation. Each of these groups normally use a different software package or system to capture and collect information. If I’m trying to consolidate this information to get an answer to a question without data integration, all the reports need to be run in separate places. Once the reports are run they are handed to someone else to consolidate. If there is a mistake in entering information, that mistake may persist forever. Not only does this take time because it is a manual effort, but it influences timing and availability of data. An example of “cause and effect” is the escalation of issues caused by a vehicle breaking down – down service, changing schedules, increased costs, and so on. In the event of a government inquiry, without integration, an agency has to manually re-collect its data in order to find out why an event occurred. How does data integration simplify these processes? If I have business intelligence that’s mining data from different data sources in real time, I can see the impact of a breakdown with the push of a button. I can take it one step further and say, ‘This is the second time I’ve seen this, so maybe I should do some trend analysis.’ You can look to what’s happened over the last six months to a year to see if there is a trend forming, and if there are proactive steps that can eliminate bad trends. By integrating all this data together, it gives agencies a window in to what they can do to make things better. How does data warehousing fit in to integration? A true business intelligence reporting tool can sit there autonomously and connect to a wide range of different data sources and databases through a data warehouse in real time to find a solution – that’s business intelligence. If you utilize data warehousing, for example, when you’re buying a new maintenance package, it can extract relevant data elements and integrate them for reporting. In the data warehouse, your data exists forever. You won’t lose your historical data each time you transition from one package to another. It is this data warehousing and business intelligence combination that ties an agency’s operations, administration, financial, procurement, human resources, fleet management data, and more together to uncover the answers agencies need to run more efficiently and effectively. The next level of integration is where these systems are examining data back and forth in real time, which is another area where you can see increased accuracy, decreased effort, and increased efficiency. Dorsey Houtz is president and CEO of Avail Technologies.